I wish I knew for sure if I have celiac or not (bad advice got me off gluten before the testing was done), but I do react pretty horribly to gluten, so I avoid it very carefully. But yeah, I’d probably have cheated at all things food-related in college. I’ve been dairy free for probably 10 years now, but it’s not an allergy. I’m lactose intolerant. I would go through phases of “cheating” with that and just living with the inevitable consequences. I ate HORRIBLY in college, though. 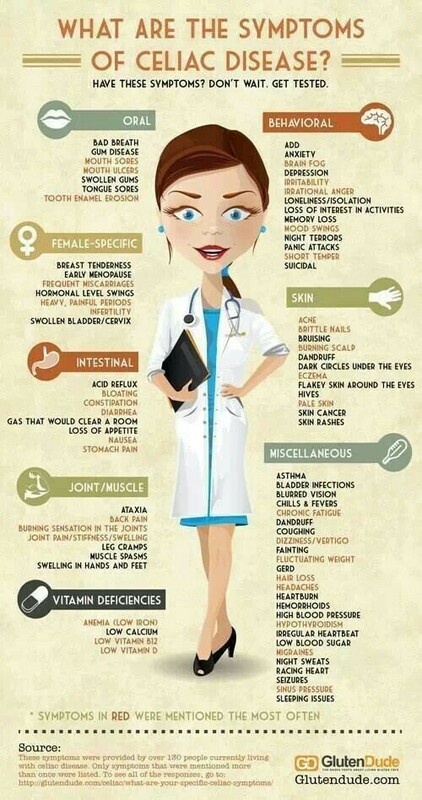 Can’t even imagine eating gluten and not having terrible painful symptoms! But I can see why some people who doesn’t have “consequences right away” would do it, same as people that smoke, they know it’s bad but they still do it…pretty sure that if they lite a cigarette and have the same attacks as when I eat gluten they would never do it again! I am truly beginning to wonder if I have a gluten issue. Ate pizza and my joints are killing me, I’m bloating, exhausted, etc. I backed off of wheat, then started it up again just to see. Thankfully, I see my doctor next week. Do you get joint pain too?